When selling your own home or investment property, finding and choosing the right real estate agent is a major decision. The estate agent should be familiar with the area and have a general idea of other properties currently for sale and properties that have recently sold. Your real estate agent is an important part of your home selling team. They have the experience and knowledge you need to sail smoothly through the home selling process. Search for a real estate agent who listens to your needs and understands your unique circumstances. Take a look at their sales track record and ask questions. You want them to know the area in which your selling your home. You want them to know your target audience and have superior marketing skills. You’ll also want them to have negotiation skills that come into play when the offers for your property start arriving. Consider your communication needs when selecting an agent. Your real estate agent should communicate at the highest level and meet your needs. If you prefer to have a phone call once a week, let them know. If you would rather be sent text messages, their willingness to do so will matter when it comes to your comfort. Potential buyers are looking for a forever home or investment property to fulfill their dreams and improve their lifestyles. Staging your home generates more money and helps the potential buyer imagine living in that space. Clutter distracts buyers from your home’s features. Keep in mind that buyers will be interested in your closet space, so tossing everything into the closet to hide it away may not be the best strategy. It’s best to get rid of items you need or donate them to a charity. Buyers need to be able to envision themselves in your home, so remove all the family photos, items with family members’ names on them, and refrigerator art. Each room should have a single purpose. Ensure that every space in every room has a purpose so buyers can envision how to maximize the square footage of the home. If there is a finished attic, set up a home office or study area. A finished basement can serve as an entertainment area, and a junk room can serve as a guest bedroom. Hardwood floors add value and elegance to a home. They are also low-maintenance, provide great long-term value and are perfect for buyers with allergies. Open all curtains and blinds when showing your home. Add supplemental lighting where necessary. Your real estate agent will prepare a Comparative Market Analysis of comparable homes detailing the original listing price, how much the home sold for, and how long it was on the market. The last three months of sales are key to setting the right asking price but look back at least a year to understand how prices are changing. It’s important to set the asking price correctly the first time so you don’t risk delays. Setting your price too high can result in your home sitting on the market. Setting your price too low could cost you money. Consider the difference between the asking price and the selling price when making your decision. The asking price is the amount you hope to receive from the sale. The selling price is the actual amount of money the buyer is willing to pay. Ideally, you want these two amounts to be as close as possible. The hope of every home seller is to receive an offer soon after they list their property that meets or exceeds their asking price. Your real estate agent will be doing all they can to market your home, so the chances of a quick sale are possible. Discuss all offers with your real estate agent to get their professional advice, and allow them to negotiate offers on your behalf. 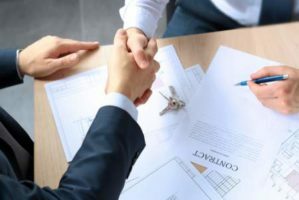 When you and a buyer have agreed on the terms and conditions of the sale of a house, both parties will sign the contract, now known as the “Agreement of Sale,” and proceed to the next stage. You will receive an Offer to Purchase once you have identified a potential buyer for your property. This offer will show you the price that a potential Buyer is willing to pay for your home and the specific terms of a sale. 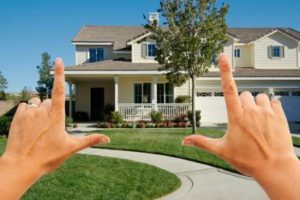 Once the offer is evaluated and accepted by both the Buyer and the Seller, the property transfer process begins, and your home can be legally sold. If you agreed to make any repairs to the property or take any other action to improve it or to take action to clear title to the property (such as removing a shed encroaching onto a neighbor’s property), all of these agreed-upon endeavors should be completed by the closing. The exception would be if you and the buyer made a separate contract for the work to be completed at a later date. Closing is when the buyer and seller fulfill the agreements made in the sales contract. It’s about the transfer of money and documents so that you can transfer ownership and possession of the property free and clear to the buyer. You will be able to pay off all loans and pay all of the parties who contributed documents or services to facilitate the sale and closing. Your real estate agent is the best source of information about the local community and real estate topics. Give The Venuti Group Inc. a call today at 541-476-9616 to learn more about local areas, discuss selling a house, or tour available homes for sale.